we all brag about our scars and mended broken bones, but when was the last time you heard about a biker bragging about their brain injury? Headway has played a major role in my development after my brain injury, whilst the doctors and medical staff do all they can physically and medically, we are all left with issues that operations and medication cannot help with, this can range from emotional and behavioural issues to cognitive issues to memory issues and many many more in-between. The resulting issues can cause deficits with reading, writing, planning and memory just to name a few. Headway offer sessions for all those real life issues you end up struggling with, and although cant cure them, it can help by repetition or learning strategies to deal with them. they also offer help to the families of those affected, as it can be hard on them as well. Headway West Midlands (WM) is a local charity set up to give help and support to people affected by brain injury. We do this by offering services to meet the needs identified by those affected by brain injury. Headway WM is a relatively small, but growing voluntary organisation with ambitious plans for future expansion of its services. It is a registered charity operated as a company limited by guarantee. 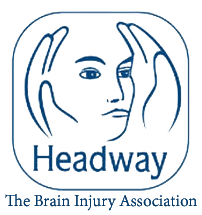 Headway West Midlands is affiliated to Headway – the brain injury association, the leading national brain injury charity. There are over 100 Headway Groups and Branches around the country, and new Headway are being established to meet the growing community of those affected by brain injury. Headway (West Midlands) Ltd is an independently registered charity (No. 1008798) and a Company limited by guarantee (No 2686647).